The question of whether 4-star 2019 running back, Kenny McIntosh (Fort Lauderdale, FL) would make it the BBQ remained up in the air. We had heard he wanted to come but wasn’t sure if he’d be able to make it. I checked in with McIntosh earlier this week and he confirmed that he will indeed make to the Sooners BBQ later this month. As we’ve said for quite some time now, the Sooners would like to take two running backs in this class. The Sooners have OK Preps running back, Marcus Major in the fold but it looks like the staff feels like Major & McIntosh (sounds like a top-notch law firm) compliment each other well. A who doesn’t like M&Ms? For Super K’s Insider Note on Kenny McIntosh, please click on this Donor Board link! When the Sooners landed Jaden Davis earlier this week, it made three straight years of the Sooners pulling in South Florida talent from players who hold offers in the state of Florida. Given the quality of talent in South Florida, that’s a big deal. In 2017 the Sooners signed OLB K’Jakyre Daley (West Palm Beach) who held a Florida State offer among others. In 2018 the 4-Star OLB Nik Bonitto (Fort Lauderdale, FL) and CB Miguel Edwards (Deerfield Beach) who had a great spring. It’s clear Oklahoma has made South Florida a priority but in speaking to a source I am told that while the 2019 class targets are, for the most part, committed or identified, in the 2020 class and forward the Sooners are going to put an even bigger emphasis on recruiting South Florida talent. In fact, my source worded it by saying the staff is going to, “get waist deep in South Florida. There’s so much talent all around there. It may not be as developed as Texas but the upside is there and there are so many guys. A lot of talented players in that one area”. What there aren’t a lot of in that area are football programs that can fill a stadium. The U will certainly win games but if you talk to players in the area, they want to play in front of packed houses and live in cities where the town shuts down for the game. That just isn’t the case for Miami. In Norman, if you’re a football player, people know you. In Miami…not so much. Sure the state of Florida is home to the Gators and the Seminoles and no doubt they’re going to get most of the guys they want but Gainesville is still five hours from Miami and Tallahassee is seven hours from there. So, you’re not going to necessarily have mom and dad at the games every weekend, anyway. And, even if you assume Florida and Florida State get who they want in that area, the Sooners believe there is plenty of talent in the area to go around. OU has had a lot of success in Cali. But get used to seeing more Florida Sooners. I think you’re going to see the recent success in South Florida and a greater emphasis on South Florida in recruiting translate into what DJ Khaled would call, “more wins”. * Spoke with Dax Hill Wednesday night. He said he still isn’t sure whether he will be in Norman for the BBQ. We’ll continue to stay in touch with him and update you as updates become available. I know there was a report from a Michigan site stating definitely that Hill will be at the BBQ. He may very well make it but, as I said, I spoke with him over the phone on Wednesday night and he said it’s still up in the air. “I’m still planning on it but I’m not very sure”. I asked Bridges if the decision was contingent on transportation and he replied in the affirmative. * Am told that 2020 5-star DB Dwight McGlothern (Cedar Hill, TX) will likely be headed up to the OU BBQ next week. I’m hoping to speak to Dwight later today. If I’m able to connect with him I’ll bring you the goods and confirmation. I should add that I’ve seen McGlothern a number of times in person – I’m a fan of his ability, his on the field personality, and off the field personality. I think he brings more than just a great player to a team. For an additional quick hitter on a 2019 OL who’s situation with OU may have changed, please click here for the Donor Board! Also, for an additional quick hitter on a 2019 LB who’s situation with OU is a bit sensitive, please click this link to the Donor Board. – Briefly caught up with former OU commit defensive back Jeffery Carter the other day, and he let me know that he is planning on attending the ChampU BBQ. If you recall, Carter committed to the Sooners at last years BBQ. Could this be a spark that reignites that old flame? 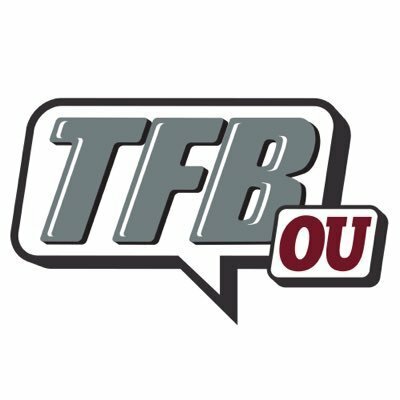 Sources tell TFB that Sooners redshirt sophomore defensive back, Jordan Parker, who began his career at Oklahoma at cornerback, has been moved to strong safety. Jordan Parker played in ten games as a freshman and eventually earned the starting spot. However, a knee injury sidelined Parker for the 2017 season. I’m told Parker has looked good in player-led 7v7. The source indicated that the staff is trying to create as much competition as possible all over the field and believe that Parker not only gives them a great cover guy at the safety position but is also a sound tackler. The source said it’s too early to say but Parker looks like a guy who will compete for the starting job. Still waiting for confirmation from Marcus Stripling. I’ve got a call into him. But I have been told by a source close to Stripling that as of now, 2019 defensive lineman, Marcus Stripling, does plan to attend next week’s BBQ. I’m also told he is expected to make the trip up with his family. Last time I spoke with Marcus he said that he plans on taking all five of his official visits. Those visits will include Oklahoma, Texas A&M, Syracuse, Texas, and Alabama. He also added that he plans to take the visits before his commitment announcement. Again, I’ll reconfirm once I hear back from Stripling. We are told that the announcement is a commitment. We don’t expect the choice to the be the Sooners.